National Geographic Magazine is a magazine which will bring you closer to the world through the beauty of photography and an editorial focus that spans the globe as well as probes the farthest reaches of the universe. In National Geographic Magazine you'll find wonderful photography and exciting articles on wildlife, travel, culture, nature, ecology and science and technology. People and places of the world is the focus of this magazine with emphasis on human involvement in a changing universe. 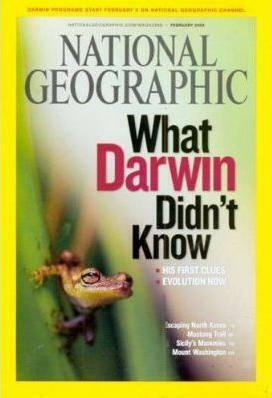 National Geographic magazine is a beautiful magazine that is educational as well as enjoyable.